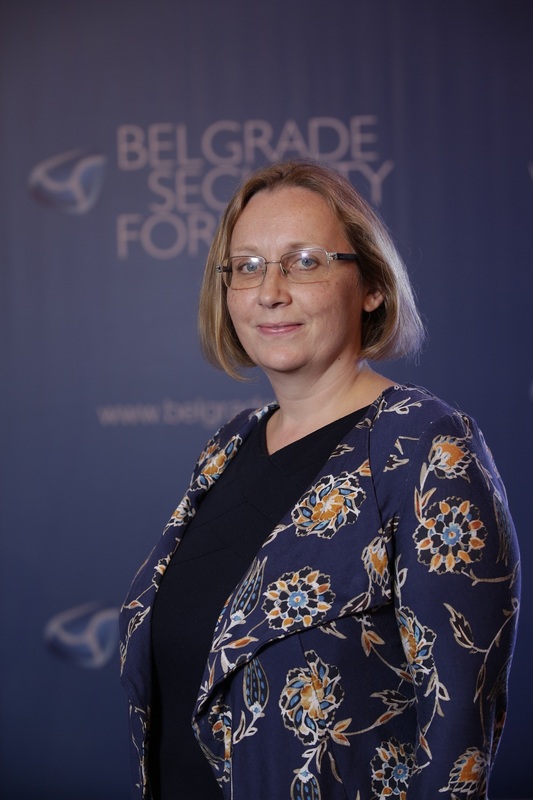 Sonja Stojanović Gajić is Director of the Belgrade Centre for Security Policy (BCSP), an independent security think tank in the Western Balkans ranked among top 20 think-tanks in CEE and among top 70 Security and International Affairs Think Tanks. She is the author of a methodology for measuring security sector reform (SSR) in transitional societies from the perspective of civil society which has been tested in Albania, Bosnia and Herzegovina, Croatia, Kosovo, Macedonia, Montenegro and Serbia. Prior to taking up her current appointment, she worked with the Strategic Development Unit of the OSCE Mission to Serbia and with Montenegro’s Law Enforcement Department as a coordinator of a strategic management program for the Serbian and Montenegrin police forces. From 2006 to 2011, Ms Stojanović worked part-time as a teaching assistant for security studies at the Faculty of Political Sciences of the University of Belgrade. Among her recent publications are: “Police Reform in Montenegro 2006-2011” (with Novak Gajić) and “Policing in Serbia: Negotiating the Transition between Rhetoric and Reform” (with Mark Downes) that appeared in the book Policing Developing Democracies (Routledge 2008). She holds an MA in Politics, Security and Integration with distinction from the School of Slavonic and Eastern European Studies, University College London. She is a member of the Gender Equality Council of the Ombudsperson of Serbia, a Serbian representative in the OSCE Network of Think Tanks, and also a member of Women in International Security (WIIS), the Forum for International Relations and is an alumna of Chevening, the US State Department’s National Security Institute and the Belgrade Open School.